What is it? 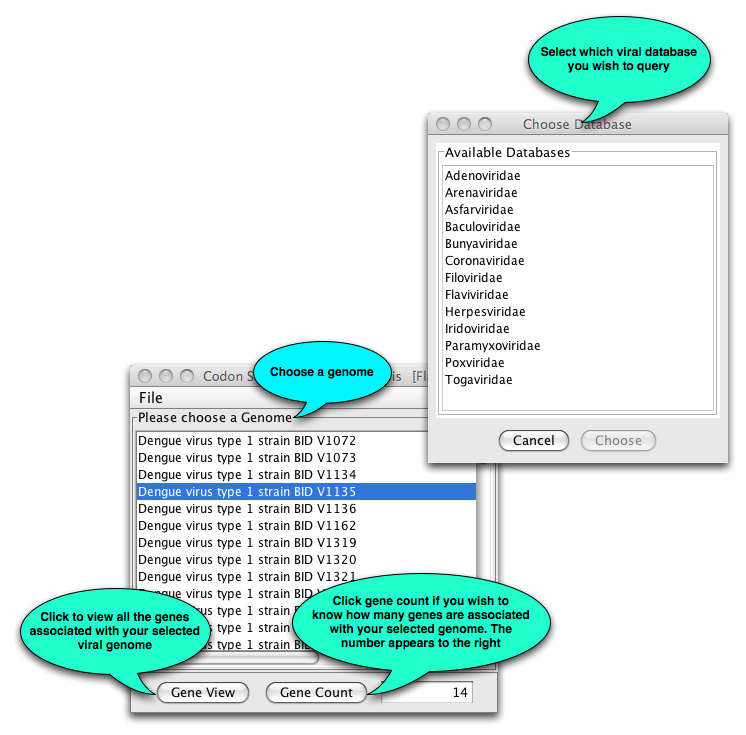 Codon Statistics (CS) is a java based user interface, which enables one to quickly browse statistical information on one or more genomes. 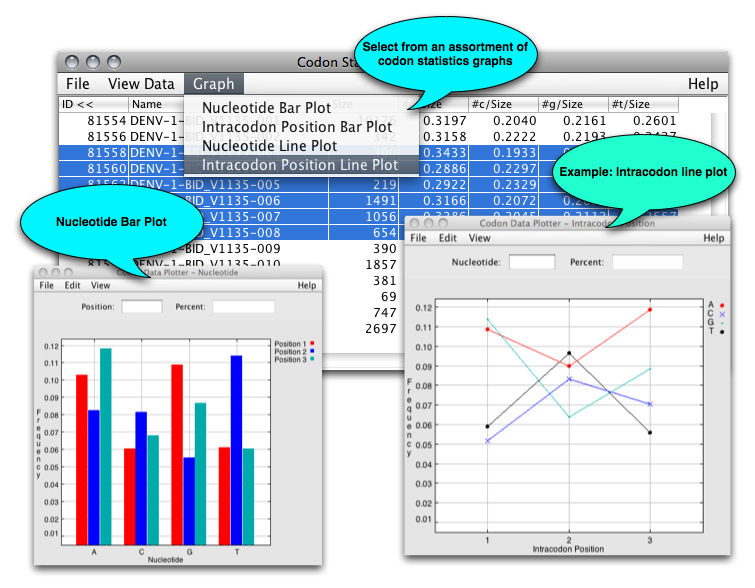 One may view statistical information on both graphical and tabular forms. 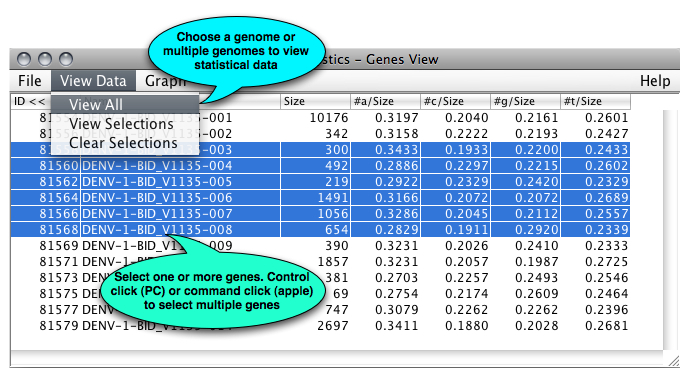 Select Codon Statistics from the VBRC Tools drop-down menu (top left of page). Click the Launch Program button. CS will be downloaded to your computer and Java Web Start will automatically start the program. Click here to go directly to the CS page. What next? The main CS window shown below will open. The codon table displays the percentage of each nucleotide in each codon position. a_1 represents the number of a’s occurred in the first position of a codon divided by the length of the gene; similarly to other column. In the bottom of the table, the sum, mean, and the variance are displayed, which are the statistical data of the set of genes. The variance is estimated by the formula of: Var = sum of(yi-Mean)^2 /(number of genes -1) Where yi is the ith gene in the table and i from 1 to the number of genes. When N>=100, the 95%CI values can be used safely. Otherwise, normality testing is needed before using the data.